Redo of failed implant bridge, correct cosmetic situation with veneers adjacent to bridge. 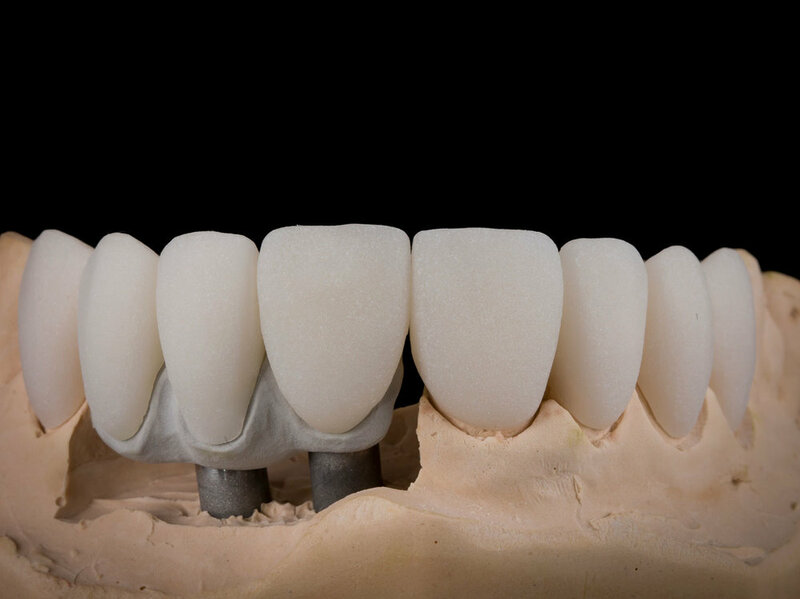 Pekkton HPP frame with bonded LiSi crowns and GC Gradia Gum for soft tissue defficiency. GC LiSi pressed veneers layered with GC LiSi Porcelain. Dynamic Abutment TI base for angle correction.